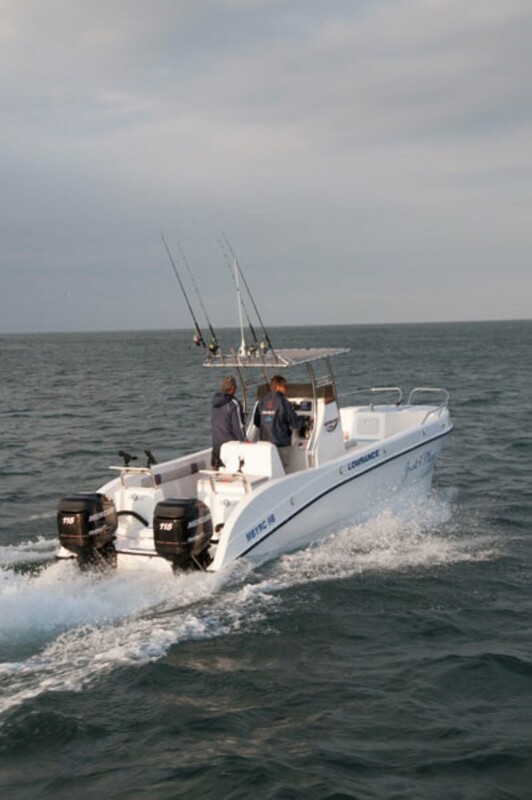 For me, when it comes to good fishing boats, there are three boxes which need to be checked: family-friendly, fishability, and it must be trailerable. The Eclipse meets these criteria and goes on to tick a good few more of the right boxes. Let’s see what this all- new offering has in store. Prior to the discovery of natural offshore gas fields in 1969, the Garden-route town of Mossel Bay was rather dependent on fishing to keep its economy ticking over. 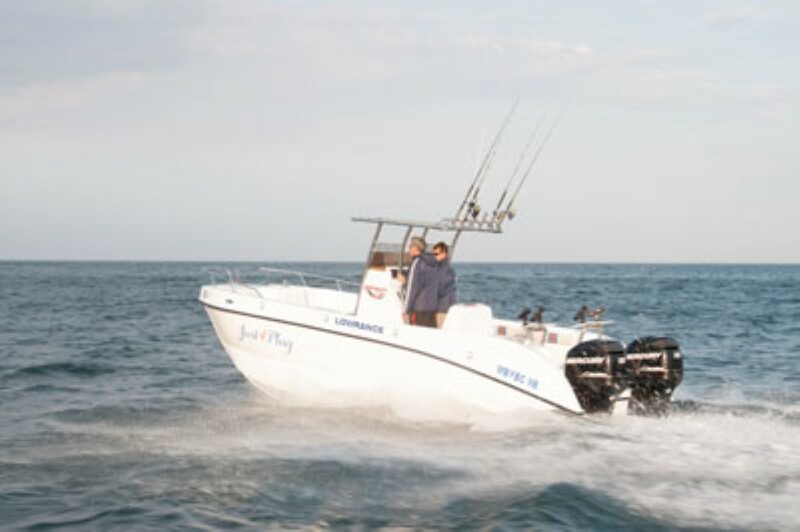 With the art of angling burning deep in the veins of this coastal haven, it’s perhaps not so surprising that a quality sportsfishing craft would eventually be born here. Enter the Eclipse 680. 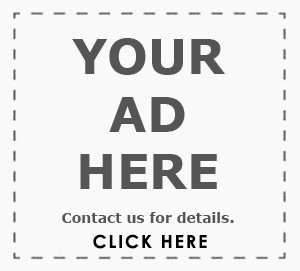 While you may see some similarities in design to other craft available on the market, it’s important to keep it in mind that this is actually a 100% all-new craft from the water up – and I say that with a considerable amount of certainty after seeing the builder’s pictures illustrating the build process from scratch as proud evidence. The beauty of a catamaran is that you can get a big-boat feel in a small-sized package – and this proves itself onboard the Eclipse 680. There’s an abundance of space allowing for multiple hook-ups if the fish are on the bite, and contriburtes to an uncluttered look. The designer of the Eclipse is an avid angler, so it’s only natural that the layout is functional to cater for a good fishing experience. The designer of the Eclipse is an avid angler, so it’s only natural that the layout is functional to cater for a good fishing experience. It must be said that if this craft has one fault, it’s that the attention to detail is about the same as various other manufacturers. 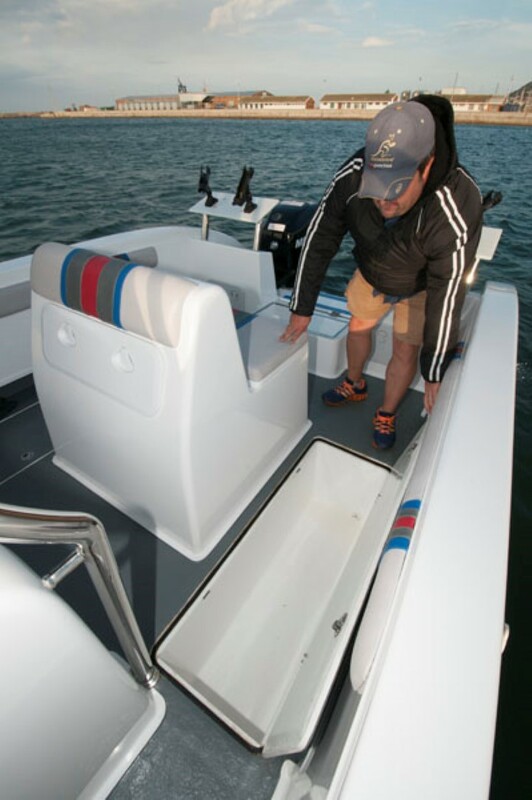 While the fibreglass work is top-notch, some small fitment issues on our review boat could be slightly improved upon. However, considering the factory is still settling into their groove, I’m expecting import quality from this manufacturer as they gear towards being in high demand. 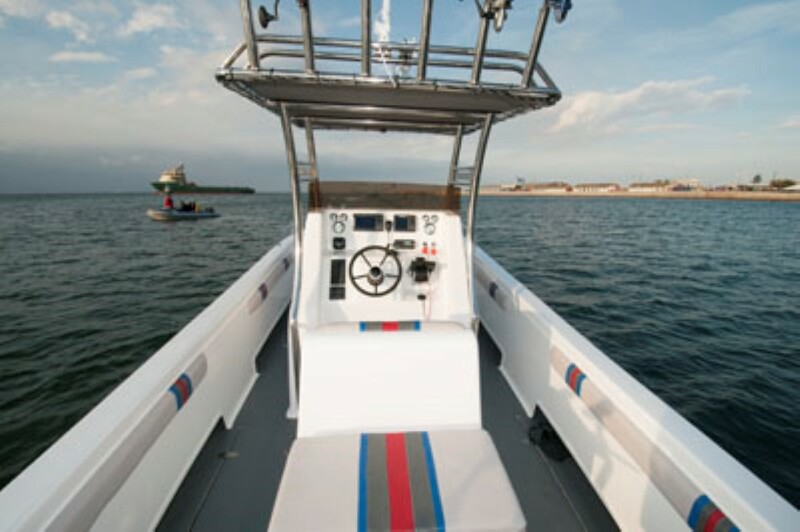 When you’ve got the family onboard, take comfort in the high gunnels acting as a safety barrier, seating for the ladies, and storage space for the necessities. 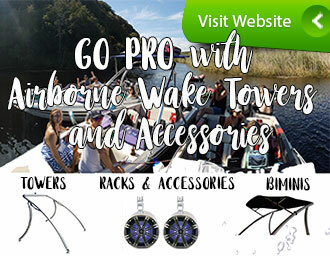 But, when wetting some line is the order of the day, the Eclipse is geared towards providing all the requirements from bait wells and rocket launchers to generous size catch hatches and padding on the gunwales. 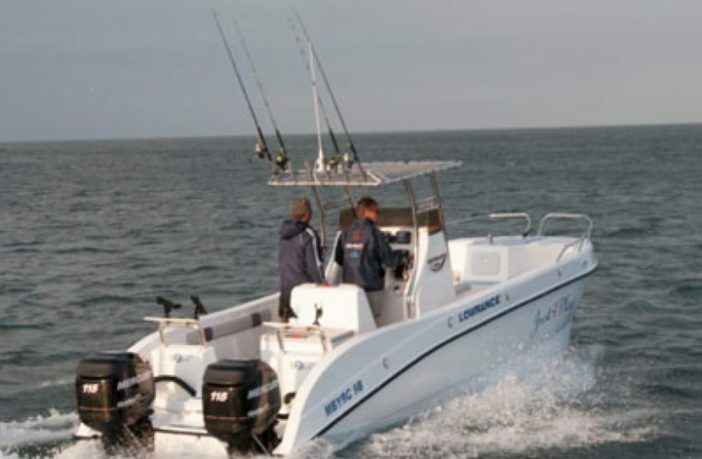 Should you however, elect for the full sportsfishing option, fighting chairs, outriggers and more can be found on the optional extras list. The team from St Blaize Marine tells me that even before conceptualising the craft, they had two priorities which had to be met before the Eclipse would ever reach the public. Safety was paramount, meaning that they have over-engineered on structural aspects while using the latest materials to keep the hull relatively light, weighing in at around 1 350 kg. 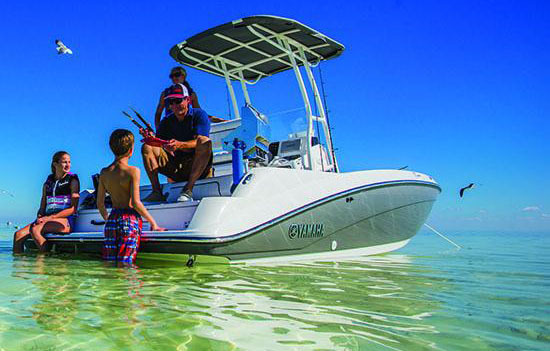 Admittedly, I can’t say whether any boat will last past 10 years based on seeing a finished product – but, if what I took away from the ride is anything to go by, the Eclipse 680 is one properly built, sturdy boat. 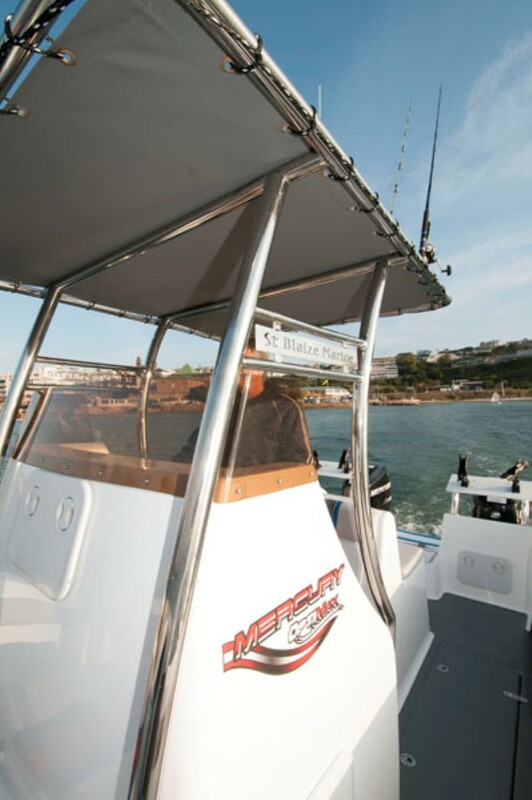 The absence of water slapping or banging on the hull indicates a good design while a non-flex feeling with no creeks or cracks shows a hulls strength. 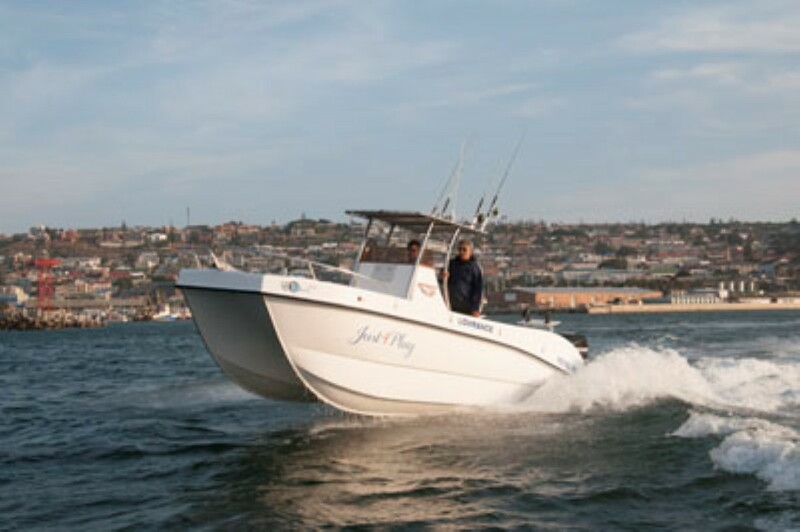 While the pictures you see show the calm waters of Mossel Bay, it must be noted that we did go out of the comfort zone – a place where professional cameras rarely come back from. With a gusty southerly wind really picking up the swell, Ian Barnard, owner of St Blaize Marine, was having a blast trying to show me that the Eclipse can really handle it all – and easily too. From travelling side-on in a lumpy beam sea to running diagonally down the wave’s face with the motors trimmed in to try broach, it is evident that the ‘safety’ criteria of this craft is extended to having a hull which can command a rough sea with minimal effort. I have said it before and I’ll say it again – I’m a monohull type of guy. It’s just how I was brought up, and it’s really unnatural for me to roll outwards in corners on a cat. But, I’m extremely pleased to say that the Eclipse 680 is a much more sophisticated design, catering inward lean and allowing you to really crank over the steering wheel. After gaining some confidence behind the wheel, I was simulating having to emergency turn out of the worst situations – in the troughs between the swells, or just at the crest of a wave – and time after time, its capabilities left me absolutely astounded. 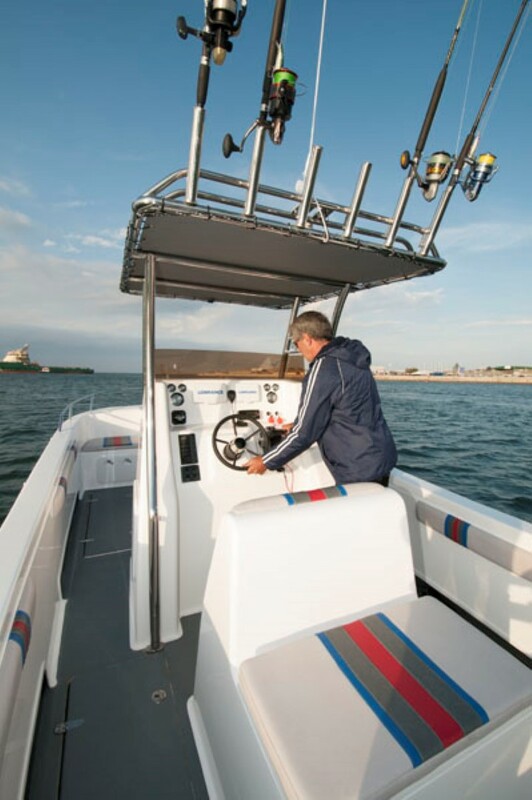 Our review boat was fitted with a pair of Mercury’s 115 HP Optimax motors which proved an ideal blend of power, efficiency and weight balance, getting the craft up to a top speed of around 38 knots. However, if you’re not in a hurry, throttle back to around 25 knots where you could happily allow the boat to run its course without stepping out of line. 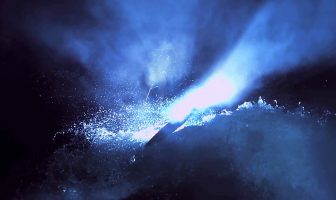 The Eclipse seems to enjoy running with a slightly proud-bow – giving it a super comfortable run over the three- foot chop we had, as well as a soft glide back onto the water after punching over a wave. My knees and kidneys have never thanked a boat more! I’m going to go ahead and say it.. 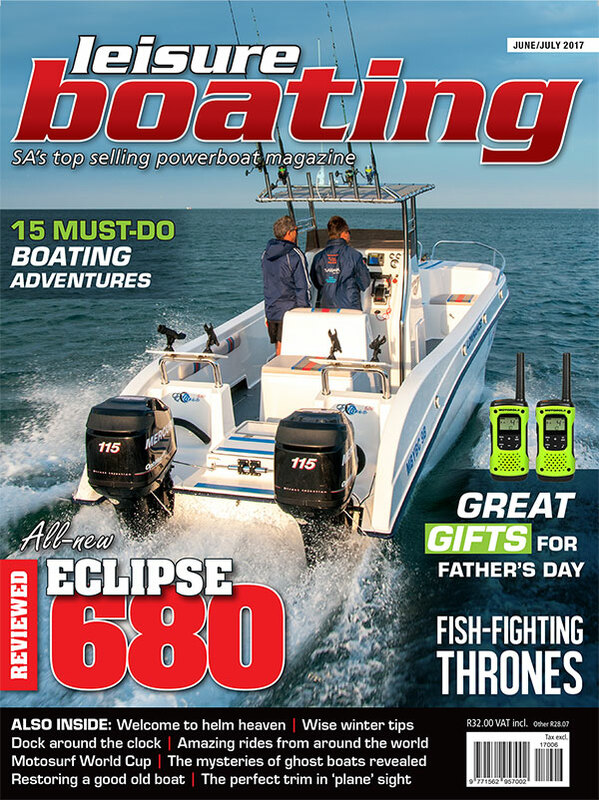 The Eclipse 680 is within my top five best boats for ride and handling in the 20-25 foot category. While I can’t mention names here, it’s beaten the likes of a few of the big ones, and I have no doubt that serious boaters would concur. Although it’s evident that I do really like the Eclipse 680, my experience may not be enough to convince you to add this to your ‘must-see’ list. 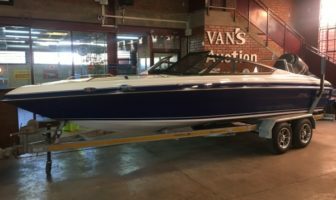 So, starting at just R350 000 from the factory for this 23-foot craft, which includes a heavy-duty double axle trailer but excludes motors, it’s most probably the attractive pricetag which will convince you of its exceptional value for money. She handles better than the vast majority of cats I’ve been on – and that says a lot! 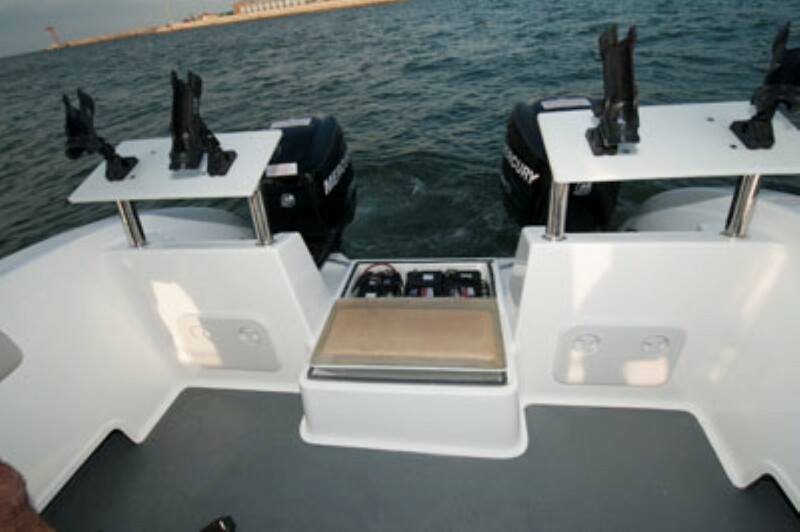 Safe, dry, reliable, and practical, this is a boat which is as at home on the rough ocean with your crew as it is in the safety of the bay with your family onboard. Stay tuned to this manufacturer as they begin to develop further models, including a forward console and a wheel house version.